Celia Shortt Goodyear/Boulder City Review Boulder City employees Patty Sullivan and David Duncan talk to students from King and Mitchell elementary schools about the importance of trees at the Arbor Day presentation on April 27. 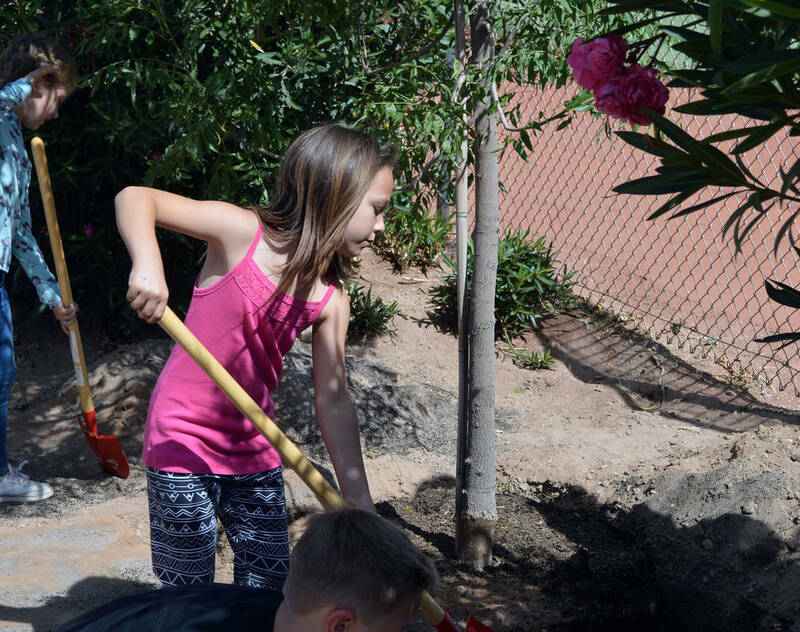 Celia Shortt Goodyear/Boulder City Review Second-grader Shasta Ryan-Willett helps plant a Chinese pistache tree for Arbor Day. Celia Shortt Goodyear/Boulder City Review Maddie Grimes helps plant a tree outside of the Boulder City High School softball field for Arbor Day on April 27. Her older sister, Jessica, stands by ready to help. Celia Shortt Goodyear/Boulder City Review David Duncan of Boulder City's landscape department, quizzes his son, Mitchell Duncan, about Arbor Day. 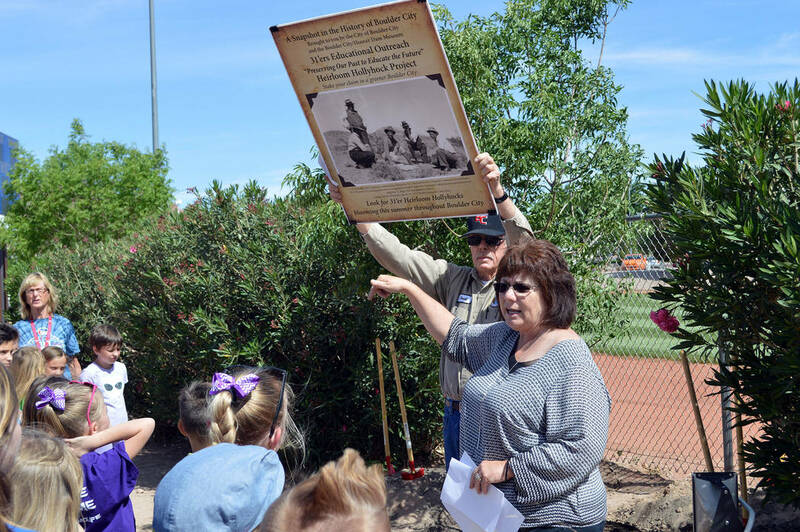 Boulder City employees Patty Sullivan and David Duncan talk to students from King and Mitchell elementary schools about the importance of trees at the Arbor Day presentation April 27. Maddie Grimes helps plant a tree outside the Boulder City High School softball field. Her older sister, Jessica, stands by ready to help. 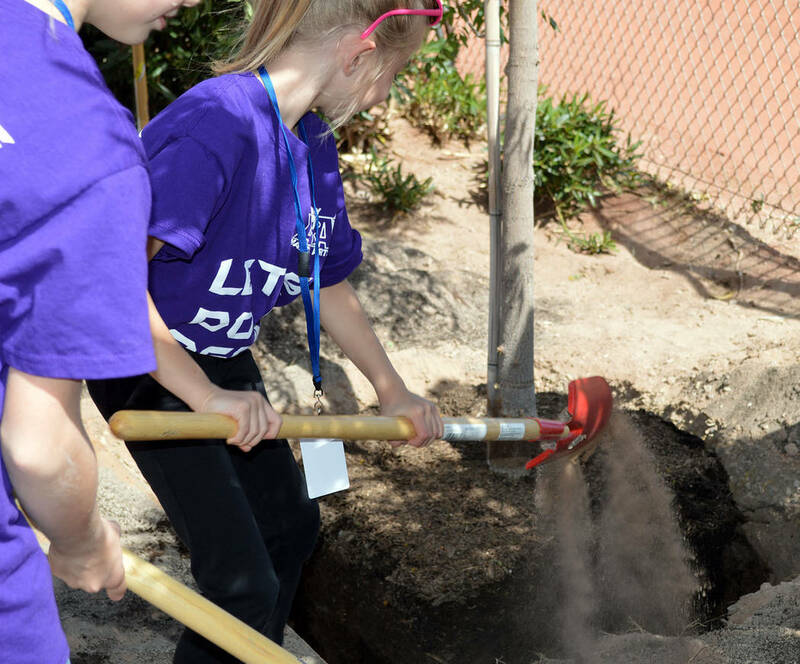 Second-grader Shasta Ryan-Willett helps plant a Chinese pistache tree near Whalen Softball Field during an Arbor Day celebration on April 27. 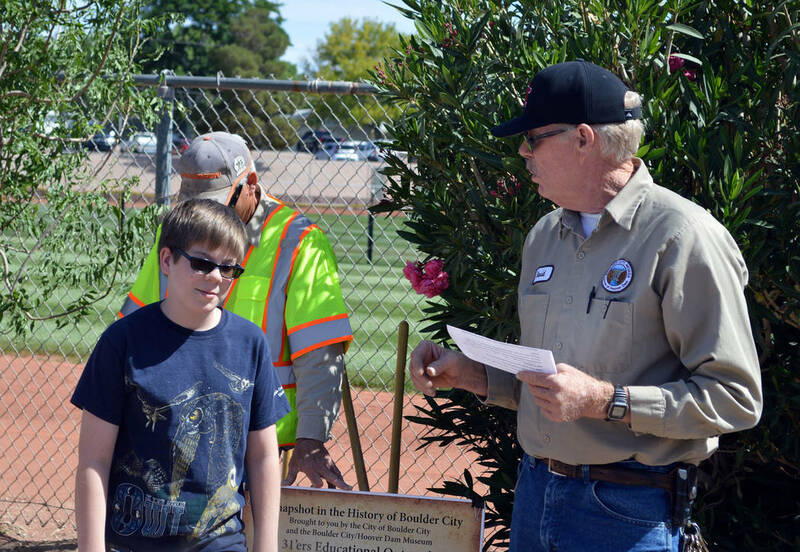 David Duncan of Boulder City’s landscape department quizzes his son, Mitchell Duncan, about Arbor Day.